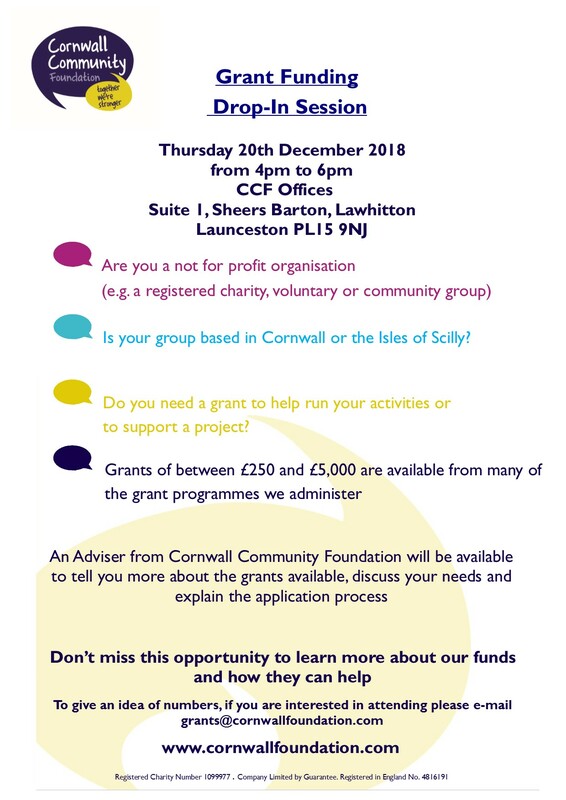 The CCF Grants Team have been hosting drop in sessions across Cornwall meeting community groups who are working to meet social needs in their areas. 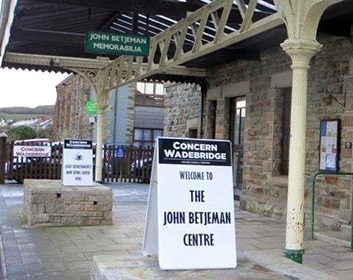 So far sessions have been held in Bude, Bodmin, Camborne, Falmouth, Liskeard, Penzance, St Austell, St Ives and Wadebridge. Highlighting both the depth of need and the number of groups seeking support, 125 groups visited the sessions. 60 of the groups had not previously contacted CCF and most had never applied for a grant. There is a further session to be held in Launceston on 20 December. Click here for details.